Have you ever noticed trucks on the road that are branded with a truck wrap? Surely you’ve noticed a local plumber or a national moving company with a distinctive truck wrap at some point. What you haven’t noticed are trucks that aren’t using any signage. They pass by without anyone understanding what business they represent. 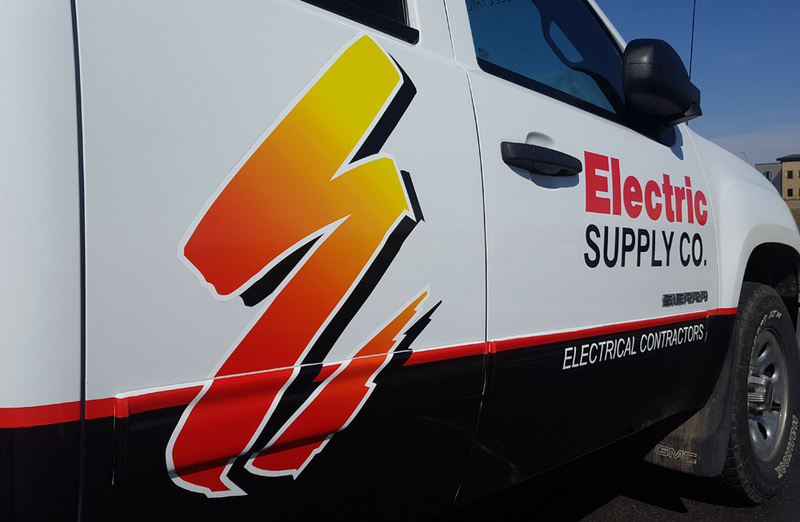 If your truck isn’t utilizing a wrap, you’re wasting a tremendous opportunity and you need to consult with our experts at the HS Sign Shop today to turn your truck into a giant, moving billboard! According to a September 2016 study by AAA, residents of the United States spend an average of 17,600 minutes a year – the equivalent of 293 hours or just over 12 days – on the road. A study by the Traffic Audit Bureau of Media Measurement estimates the average US traveler is driving almost 40 miles per day. Think of all those impressions you’re wasting if you’re not taking advantage of that opportunity to market your business. At the HS Sign Shop, our graphic design team will come up with a truck wrap that will stand out when your fleet is on the street. A distinctive design will help your trucks rule the road – we know you’ll notice on your bottom line. We can come up with creative ways to display your logo, website, email address – whatever you want, we can do. If you already have a design, that’s no problem. Whether it’s one pickup truck, or a fleet of semis, our team can install a truck wrap that will create awareness of your brand. Contact us at (605) 331-2155 for a consultation today! 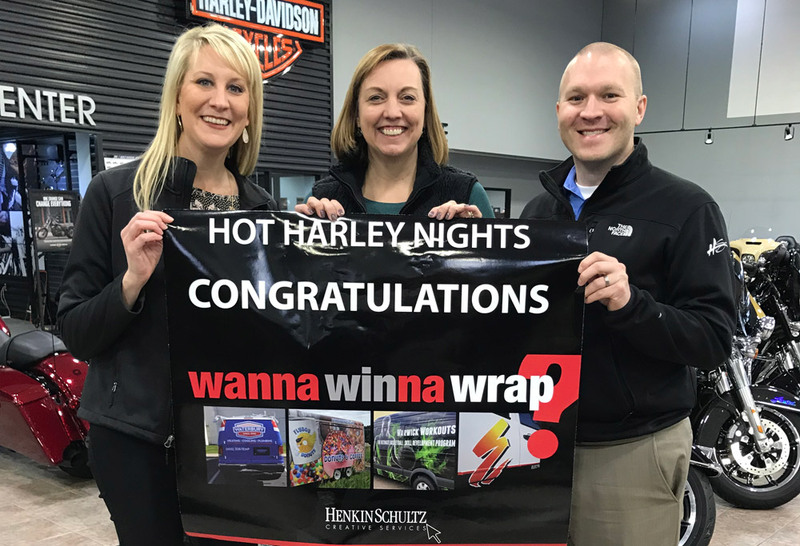 We’re excited to announce that the winner of our Wanna Winna Wrap contest is (drum roll please…) Hot Harley Nights! Hot Harley Nights was established by J&L Harley-Davidson in 1996 to raise money for Make-A-Wish South Dakota; to give riders a fun reason to ride; and to showcase Sioux Falls City parks and the surrounding area. The event spans three days and involves a family night, casino run, motorcycle parade, live music, raffles, bike show, silent auction, great food and an outdoor party at a new, soon-to-be-announced location. They have raised over $2.9 million dollars over the past 22 years. We’re passionate about assisting with charitable causes in the community, as well as helping new businesses develop and grow, and this contest came out of the desire to see startups, non-profits and new businesses who don’t have the budget to get their vehicle wrapped the opportunity to take advantage of this tremendous marketing tool. The Outdoor Advertising Association of America (OAAA) estimates that vehicle wraps boost brand recognition 15 times greater than any other form of advertising. A vehicle wrap can generate 50,000 impressions on an average day. Congrats to Hot Harley Nights!